Place the sugar, lime juice and lemongrass in a saucepan over low heat and cook, stirring, until the sugar is dissolved. Increase heat to high and bring to the boil for 2 minutes or until thickened slightly. Allow to cool completely before straining. 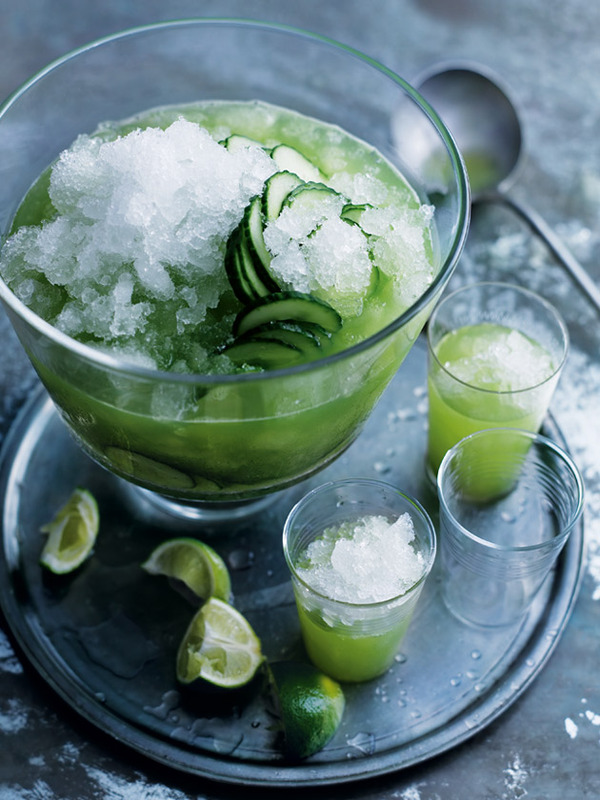 Place the cucumber, white rum and lemongrass syrup in a blender and process until smooth. Pass through a sieve into a 1.5 litre-capacity (6 cups) jug. Add the soda water, extra cucumber and ice and stir to combine. Squeeze in extra lime, if desired. Makes 1.25 litres (5 cups).